In a previous post I talked about the function of community and why it is God’s good design for every Christian to join a local church, not give up on it, and become deeply involved in it. Today I want to talk about how the Gospel creates true community and how it must sustain and shape our community in a church. “When God raises our eyes from ourselves to his Son through the gospel, we begin to see ourselves surrounded by a community of people who are no longer simply neighbours but brothers and sisters. . .Christ and his gospel is the tie that binds. I did not choose these people to be my brothers and sisters; God did. Like me, they are elected, redeemed, called, and justified by God in Christ.” (The Gospel-Driven Life, p. 192). Eph. 4:1 I therefore, a prisoner for the Lord, urge you to walk in a manner worthy of the calling to which you have been called, 2 with all humility and gentleness, with patience, bearing with one another in love, 3 eager to maintain the unity of the Spirit in the bond of peace. 4 There is one body and one Spirit—just as you were called to the one hope that belongs to your call—5 one Lord, one faith, one baptism, 6 one God and Father of all, who is over all and through all and in all. You see, our unity is not based on our ethnic background, our common interests and hobbies, our gender, our age, our stage in life, our social status, or anything else but the fact that we are all one because of the Gospel. And when we start to lose sight of this reality, our community will quickly degenerate and become merely a social club or worse we will become divided and break apart. We’ll start to think, “I have nothing in common with these people.” But the Gospel says “Yes you do. . .you have something in common with every single one of them!” You all are sinners who have been purchased by the precious blood of the only begotten Son of God. You all have the same Heavenly Father. You all have the same Holy Spirit. You all have God’s Word and the same baptism and a common communion table. Some of us might share a few other things in common, but we ALL as Christians share these things in common. And so, we have to keep the Gospel central, in preaching, in our hearts, and in our conversations and actions towards each other. If you want to experience something you have in common with your fellow church members start talking more about the work of Christ with them rather than always talking about your favorite hobby, interest, political opinion, sports team, and other things that cannot unite a people from every tribe, and language and people and nation (Rev. 5:9-10). “It is not my church to shape into my image, according to my own cultural preferences, ethnic background, politics, or socioeconomic location. It is Christ’s community–and he is the location that we all share together. He is the demographic niche and the political rallying point of this kingdom. I still belong to other groups based on my cultural affinities, but my family is not something I choose; it is something I am chosen for. . .the words and sacraments of the world create affinity groups for those with similar tastes based on generational, socioeconomic, political, racial, and consumer demographics. However, when the Spirit comes through his Word and sacraments, “the powers of the age to come” break into this present evil age (Heb. 6:4-5). The church becomes a cross-cultural community in the truest sense, defined by Christ’s work rather than our own” (The Gospel-Driven Life, p. 193). And we have to keep the Gospel central because building community doesn’t come natural to us because of our sin. Our egos get in the way ALL the time. And only the Gospel can kill our pride. 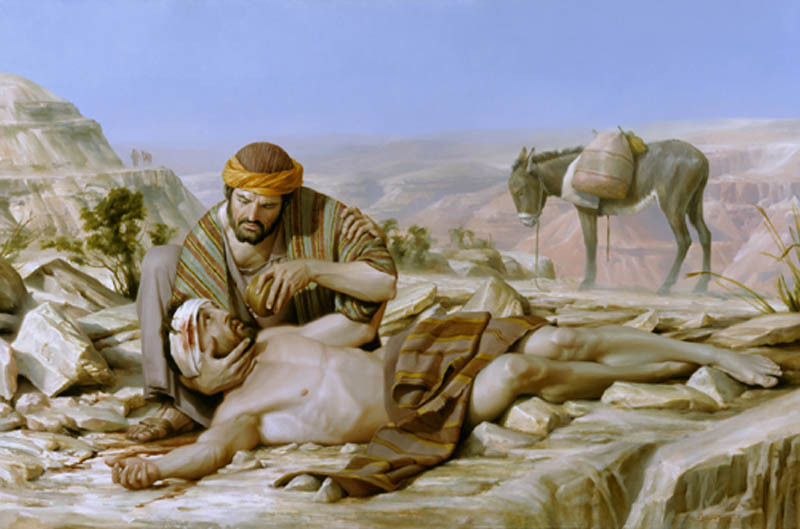 In the words of the hymn: “When I survey the wondrous cross On which the Prince of glory died, My richest gain I count but loss, And pour contempt on all my pride.” You can’t think deeply about the Gospel and continue to be proud. You also can’t think deeply about the Gospel and continue to be insecure, desperately living for the praise of men. And so, if we want to grow together in brotherly affection towards one another and experience more and more true community in our churches, then we have to grow deeper and deeper in the Gospel. 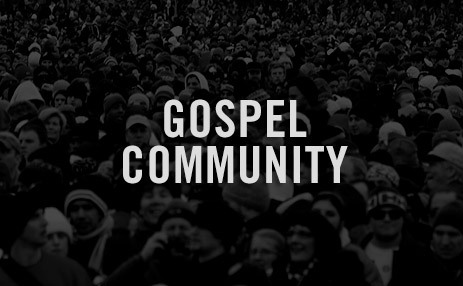 The Gospel creates true community in a Christian church and it is what sustains and shapes that community. If we want to experience true community in our churches the Gospel has to be kept central and it has to grip us at the core of our being. Otherwise our egos will prevent us from loving each other freely for the sake of Christ. We will use each other to find significance in life and we will end up being merely a social club or worse we will “bite and devour one another” and will eventually “be consumed by one another” (Gal. 5:15). But when we are continually being reminded of who we are in Christ, it frees us up to love each other with brotherly affection and to experience true community, the kind that is a powerful witness to the world (John 17:20-23), a sanctifying experience that is good and pleasant (Psalm 133:1) and that brings great glory to our One God, Father, Son and Holy Spirit. When you confuse the law and the gospel you get the theological error known as the “golawspel” (Kim Riddlebarger’s term). I want to encourage you to “just say no” to this confusion. The law-gospel distinction is a hot topic on a few blogs, and since I mentioned this in my catechetical sermon this past Lord’s Day, I thought I would share a few thoughts, and allow for Zacharias Ursinus to chime in as well. To begin with, I preached on Lord’s Day 6 of the Heidelberg Catechism. Questions 16-18 deal with the question, “Why does Jesus satisfy God’s justice as our only mediator?” The answer is because he meets three qualifications: He is true man, righteous man, and true God. He had to be all three in order to be our mediator and deliver us from our sins and misery. Question 19 then asks, “From where do you know this?” i.e. “From where do you know your mediator?” It is a question that parallels question 3, “From where do you know your misery?” The catechism tells us in question 3 that we know our misery “from the law of God.” Here in question 19 the catechism tells us that we know our mediator “from the Holy Gospel.” The parallel nature of these two questions popped out at me for the first time. I was pretty excited about the alliteration of misery and mediator as a mnemonic device as well. I don’t see how anyone can say that the law-gospel distinction is solely a Lutheran concept and absent from Reformed theology. The distinction between the law and the gospel is built into the structure of our Reformed catechism. Ursinus, one of its primary authors, even says it’s there. He then goes on for a few pages explaining the gospel. One thing of note is when he says, “The gospel is, therefore, the doctrine which the Son of God, our Mediator, revealed from heaven in Paradise, immediately after the fall” (p. 101). Notice, the gospel wasn’t published before the fall, but after. 1. In the revelations which they contain; or, as it respects the manner in which the revelation peculiar to each is made known. The law was engraven upon the heart of man in his creation, and is therefore known to all naturally, although no other revelation were given. “The Gentiles have the work of the law written in their hearts (Rom. 2:15).” The gospel is not know naturally, but is divinely revealed to the Church alone through Christ, the Mediator. For no creature could have seen or hoped for that mitigation of the law concerning the satisfaction for our sins through another, if the Son of God had not revealed it. 2. In the kind of doctrine, or subject peculiar to each. The law teaches us what we ought to be, and what God requires of us, but it does not give us the ability to perform it, nor does it point out the way by which we may avoid what is forbidden. But the gospel teaches us in what manner we may be made such as the law requires: for it offers unto us the promise of grace, by having the righteousness of Christ imputed to us through faith, and that in such a way as if it were properly ours, teaching us that we are just before God, through the imputation of Christ’s righteousness. The law says, “Pay what thou owest.” “Do this, and live” (Matt. 18:28; Luke 10:28). The gospel says, “Only believe” (Mark 5:36). 3. In the promises. The law promises life to those who are righteous in themselves, or on the condition of righteousness, and perfect obedience. “He that doeth them, shall live in them.” “If thou wilt enter into life, keep the commandments” (Lev. 18:5; Matt. 19:17). The gospel, on the other hand, promises life to those who are justified by faith in Christ, or on the condition of the righteousness of Christ, applied unto us by faith. The law and the gospel are, however, not opposed to each other in these respects: for although the law requires us to keep the commandments if we would enter into life, yet it does not exclude us from life if another perform these things for us. 4. They differ in their effects. The law, without the gospel, is the letter which killeth, and is the ministration of death: “For by the law is the knowledge of sin.” “The law worketh wrath; and the letter killeth” (Rom. 3:20; 4:15; 2Cor. 3:6). 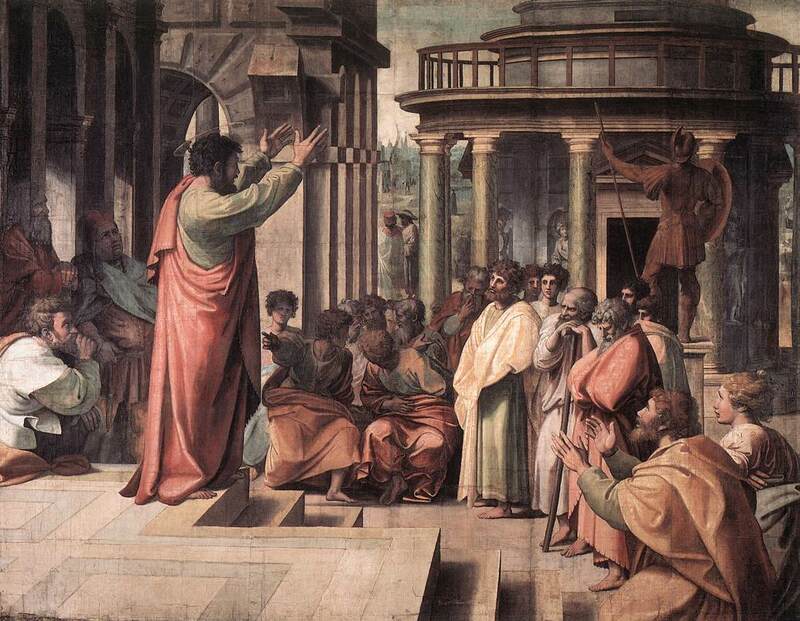 The outward preaching, and simple knowledge of what ought to be done, is known through the letter: for it declares our duty, and that righteousness which God requires; and, whilst it neither gives us the ability to perform it, nor points out the way through which it may be attained, it finds fault with, and condemns our righteousness. But the gospel is the ministration of life, and of the Spirit, that is, it has the operations of the Spirit united with it, and quickens those that are dead in sin, because it is through the gospel that the Holy Spirit works faith and life in the elect. “The gospel is the power of God unto salvation” (Rom. 1:16). (pp. 104-5). I think Ursinus makes things pretty clear on what the difference between the law and the gospel is. However, before I conclude this post I just want to say a few clarification points. Although we speak of the law as showing us our misery, this isn’t meant to encourage us to have a negative view of the law. I know that some critics of the law-gospel distinction have said that we at Westminster West only speak of the law in negative terms. Perhaps we have given this impression, but we don’t mean to. The law is indeed good (Rom. 7:7, 13; Gal. 3:21-22). How can it not be good? It is a reflection of God’s holiness and perfection. To say something bad about the law is to say something bad about God. The law is not bad. We are bad. But it is precisely because we are bad and that there is nothing good in us whereby we might attain the righteousness that we need to be saved, that we need to highlight the difference between the law and the gospel. If we don’t then we are in danger of losing the gospel and our only hope of salvation. Secondly, there are various ways in which theologians have used the terms “law” and “gospel.” We must be patient with one another and be clear on which way we are using these terms. When we speak of the law-gospel distinction we are speaking of the difference between two ways of inheriting eternal life, works vs. faith (cf. Phil. 3:9). Hopefully we can all at least agree that one is saved by grace alone through faith alone (Eph. 2:8-9). For more on how the terms law and gospel are used in different contexts see this post: The 411 on the LGD. Finally, we don’t only speak of the law as showing us our misery. The law does more than just show us our misery. The Reformed have always spoken of three uses of the law. The first use is it’s “pedagogical” use. It is a tutor which leads us to Christ. The first use of the law is what is in mind in the law-gospel distinction. The second use is its “civil” use. In it’s civil use, the law serves to restrain sin in society. The third use of the law is what we call it’s “normative” use. That is to say that it is the norm of the Christian life. It is our rule of love. It no longer threatens us with its curses because Jesus bore our curse (Gal. 3:10-14). Therefore, as Christians, we no longer hear the law as a terrifying thunder outside of us. We are being transformed now from the inside out and the law has become our inner disposition of love for God and neighbor. This is why our Heidelberg Catechism contains the 10 commandments in the gratitude section of the catechism. More specifically the structure of our catechism is guilt-grace-gratitude=law (1st use)-grace-law (3rd use). I hope this clears a few things up for a few of you reading this. My prayer is that we might find greater unity on this topic and preach unequivocally the good news of the gospel, for God’s glory, the comfort of His people, and the salvation of the lost. “For I am not ashamed of the gospel, for it is the power of God for salvation” (Rom. 1:16).